The global millimeter wave technology market size was valued at USD 420 million in 2017 and is anticipated to grow at a CAGR of 36.5% during the forecast period. Millimeter wave is the band of spectrum between 30 gigahertz and 300 gigahertz. Millimeter wave is an undeveloped band of spectrum that can be used for products and services such as high speed, point-to-point wireless local area networks and broadband access. Millimeter wave is used in the telecommunications sector for a variety of services on mobile and wireless networks owing to its ability to offer data rates up to 10 Gbps. The data rates of up to 10 Gbps enable millimeter waves to be used in automotive radar solutions, high-speed point-to-point communication, streaming of high-resolution videos, and transmission of large amount of data, mobile and wireless networks. The Millimeter Wave Technology market is driven by factors such as increase in demand for bandwidth requirement, and growth in mobile data traffic. There has been a significant growth in the demand for radar and security applications, boosting the growth of the Millimeter Wave Technology industry. Factors such as growing applications of millimeter wave in small-cell backhaul networks, and rising use in 5G technology influences the Millimeter Wave Technology market growth. The technological advancements, increasing adoption of advanced networking technologies, and growing demand for mobility accelerates the Millimeter Wave Technology market growth rate. The increasing applications in defense, aerospace, and satellite communication coupled with growing development of autonomous vehicles has increased the growth of the Millimeter Wave Technology market. The global Millimeter Wave Technology market is segmented on the basis of product, frequency, end-user, and region. The Millimeter Wave Technology market report segments the products into scanner systems, radar and satellite communications systems, and telecommunication equipment. The telecommunication equipment segment accounted for the highest Millimeter Wave Technology market share in 2018. The increasing demand from defense, automotive, aerospace, and satellite communication sectors coupled with technological advancements boost the growth of this Millimeter Wave Technology market segment.The frequency segment is divided into 24 GHz and 57 GHz, 57 GHz and 86 GHz, 86 GHz and 300 GHz. The Millimeter Wave Technology market report segments the end-users into mobile & telecom, healthcare, commercial, industrial, consumer, automotive, defense, and others. The mobile and telecom segment accounted for the highest Millimeter Wave Technology market share in 2018. The increase in demand for bandwidth requirement, and growth in mobile data traffic drives the growth of this segment. This Millimeter Wave Technology market report comprises a detailed geographic analysis of the Millimeter Wave Technology market across North America, Europe, Asia-Pacific, Latin America, and MEA. North America is further segmented into U.S., Canada, and Mexico. Europe is divided into Germany, UK, Italy, France, and Rest of Europe. Asia-Pacific is bifurcated into China, India, Japan, and Rest of Asia-Pacific. North America is the major region contributing to the Millimeter Wave Technology market growth owing to the increasing adoption of cloud technologies, and testing of 5G technology in the region. 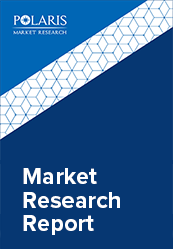 The leading players in the Millimeter Wave Technology market include NEC Corporation, Siklu Communication Ltd, Bridgewave Communications, Inc., E-Band Communications, LLC, Aviat Networks, Inc., Millitech, Inc., Millimeter Wave Products Inc., Farran Technology, Ltd, Keysight Technologies, Inc., and Ducommun Incorporated among others. These leading players are introducing innovative products in the Millimeter Wave Technology market to cater to the growing demand for consumers. Global players are entering new markets in developing regions to expand their customer base, strengthen market presence, and increase their Millimeter Wave Technology market share.